Have you ever had the urge to test out your green thumb? Feel pride in growing your own vegetables? Or maybe just wanted to taste the sweetness of a tomato fresh off the vine? 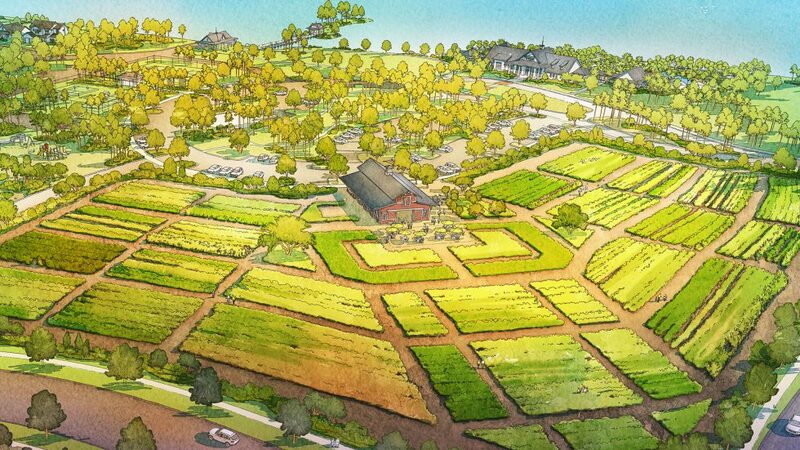 Arden is one of a select few communities nationwide where residents will have the opportunity to enjoy their very own Community Farm. The Arden Farm is a place where you can satisfy your curiosity about farming – whether you just want to see how plants grow or want to participate in any part of the process, from planting all the way to harvest. What is the Community Farm? The Community Farm is exactly what it sounds like – a working farm available to community members to use and enjoy. Set on approximately five acres, the Arden Farm will produce organic fruits, vegetables and herbs based on what is in season in South Florida. There will always be something delicious growing, no matter what the season. Residents can look forward to carrots in the fall, tomatoes in the winter, strawberries in the spring, and rosemary during the summer. How does the Community Farm work? A year-round Farm Manager will care for the Community Farm, so the responsibility of managing the produce will be in expert hands. However, there are plenty of chances for residents to get their hands dirty, with farming programs designed to get everyone involved. You can simply swing by to see the plants’ progress, or sow seeds with your own hands and come back later to check on the fruits of your labor. Every Arden resident will be able to enjoy the seasonal harvest, grown right in their own community. It doesn’t get more local than that. There will even be a “U-Pick” area, where residents can harvest their own seasonal fruits and vegetables! Why is the Community Farm good for Arden? The Community Farm serves endless and varied purposes. It will provide residents with fresh, healthy, organic fruits and vegetables that they can enjoy with their families. Children will have an important opportunity to learn where their food comes from, helping to build healthy eating habits and an understanding of their environment from a different perspective. Plus, there will be regularly-scheduled events in the barn, including seasonal classes with the Farm Manager and events that focus on healthy eating, farm-to-fork cuisine, herb cultivation and more. Strawberry season will welcome a “U-Pick” Strawberry Festival and a unique opportunity for the entire family to take part in the whole seed-to-harvest process. Interested in learning more about Arden’s unique, earthy lifestyle? Join our Founders Club to stay up to date on Arden news.